Foreign Ministry will summon ambassador after Swedish premier announced intention to recognize a Palestinian state. Sweden's ambassador to Israel will be summoned to the Foreign Ministry after the prime minister of Sweden announced his government's intention to recognize a Palestinian state. Left-wing Social Democrat leader Stefan Loefven – who won last month's general election – said the Nordic country wanted to bolster a "two-state solution" to the Israeli-Palestinian conflict. Foreign Minister Avigdor Lieberman said that he regretted that the new premier was quick to make declarations regarding the position of Sweden on the recognition of a Palestinian state. Liberman speculated that Loefven probably made the statement before he had a chance to delve deeply into the issue and understand that the side that blocked progress and prevented an agreement in the last 20 years was the Palestinian side. 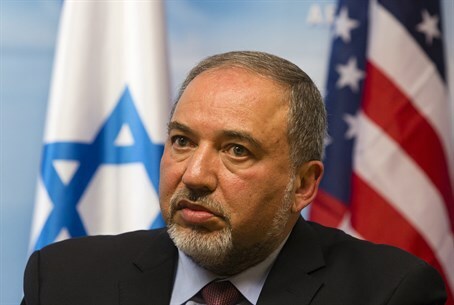 "Loefven should realize that no declaration and no step carried out by an external party can be a substitute for direct negotiations between the parties, and that a solution will be part of a final settlement between Israel and the entire Arab world,” Liberman explained. Washington reacted quickly, calling Stockholm's recognition "premature", while Palestinians cheered the decision as "courageous" and urged the rest of the European Union to follow suit.